When you buy products like shoes or phone covers, you expect a proper fit–after all, the right fit leads to the right function. Why should it be any different for auto parts? If you need filters, caps, tires, wheels, or seat covers for your Porsche Panamera, Macan, Cayenne, 718 Boxster or 718 Cayman, you want to be sure that you’re spending your money on a product that will really work. Our parts store in Los Angeles, serving the Beverly Hills, West Hollywood, Brentwood, and Manhattan Beach areas, sells only the best genuine Porsche parts, to give you only the best in quality and performance. Order parts online today by submitting a form to our department; if you need basic parts like engine oil, oil filters, cabin air filters, cargo mats, all-weather floor liners, wiper blade replacements, all-season or summer tires, headlight bulbs, spark plugs, car batteries, or replacement mirrors, you can pick them up right at the desk when you visit our Los Angeles parts store. When you choose OEM parts for your vehicle, you’re choosing to invest your money in intelligently-engineered, thoroughly-tested, and factory-backed products that are built to provide an exceptional fit, and proven to last. On top of that, many automakers offer additional warranty coverage on the parts and accessories that you’ll purchase. 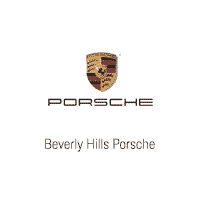 With auto parts coupons at Beverly Hills Porsche and special offers on accessories, you could end up paying less for genuine Porsche parts than you would for generic or aftermarket alternatives. There really is no substitute for OEM auto parts!